In 1911 Merillon Company One was the founding company of the Garden City Park Fire Department. In 1911, the departments first rig was a horse and wagon which was donated. This rig was in service until 1936. In 1932, the Parkers racing team was formed consisting of Merillon Company One members. In 1936, the horse and wagon was replaced by a 75ft Ward la France nicknamed " Iron Horse." In 1956, the Ward la France was replaced by an 85ft SeaGrave aerial ladder. In 1961, Company One received a second rig known as 157 to be used as a Light Truck for fire scenes. In 1978, the SeaGrave was replaced by an 85ft Kenworth LTI rear mount bucket. It was during the late 70's to early 80's Merillon Company One renamed to Truck One. In 1987, Unit 157 "Light Truck" was replaced by Unit 1511 "Heavy Rescue," which was given to them from Rescue Company 5. Unit 1511 was equipped with all necessary vehicle extrication tools. 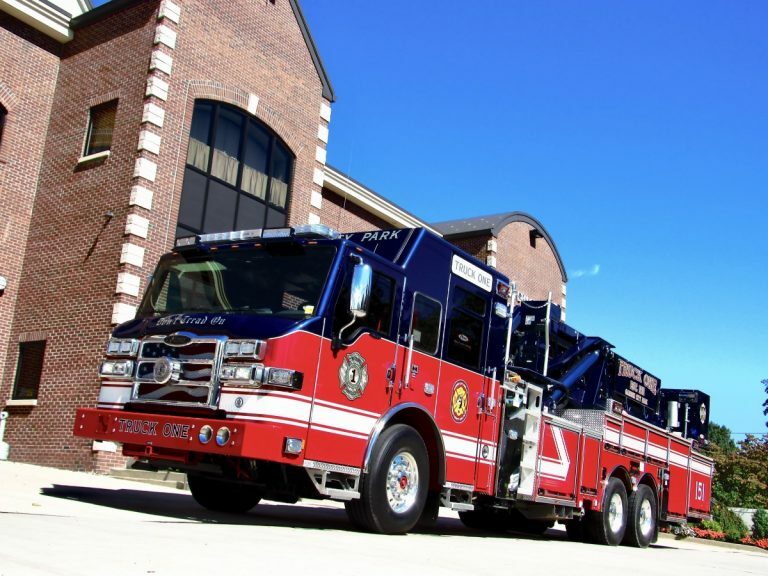 In 1995, the Kenworth LTI was replaced with a 95ft Aerial scope mid-mount Tower Ladder. 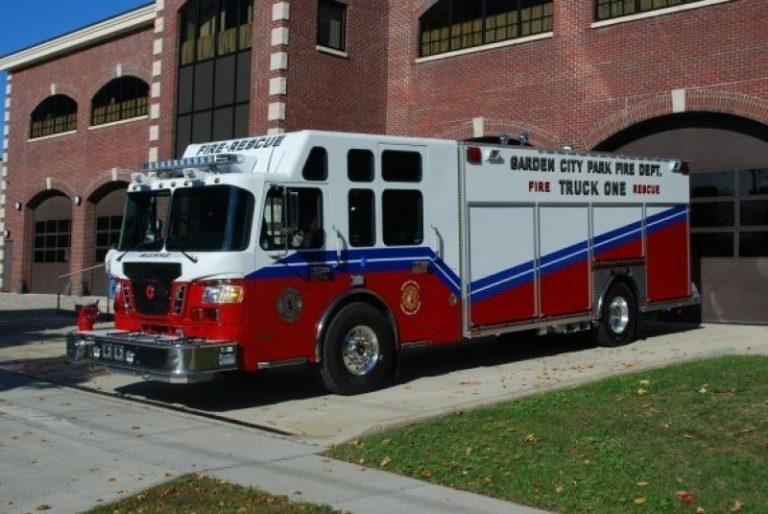 In 2009, Unit 1511 was replaced with a Crimson 1500 GPM, Heavy Rescue Class A Pumper. Over the years Company one members have dedicated themselves in assisting nearby fire departments. Numerous Company One members have responded to the Suffolk County brush fires in the past. On September 11, 2001, in the early morning, Unit 151 was left back to cover the entire First battalion as a “First Due” truck, while all other ladders in the battalion went to the staging area and were posted to cover city firehouses. Later that evening, Unit 151 was relieved and stationed to cover an FDNY firehouse in Queens. On September 12, 2001, while on standby at the FDNY firehouse, Unit 151 responded to multiple alarms. On September 13, 2001, several Company One members responded to "Ground Zero" to assist with search and rescue. In 1999, Truck Company One received a Nassau County Unit citation for extricating a man trapped in heavy machinery. A man was trapped 40 ft in the air on a conveyor belt which led to a cement grinder. The patient was assessed, immobilized and removed via the bucket of a pay loader. In 2010, members of Company One responded with unit 1511 to Great Neck and assisted in answering multiple calls after a devastating Hurricane leveled most of the town. Members of the company have received numerous Green Cross awards from Hurst, for challenging vehicle extrications. Over the years, Truck One has assisted in over 40 arches for fallen FDNY members memorial services. In the early 2000’s, we organized the first Toys for Tots in the department which has now been taken over as a department function. Along with Firefighting, members have a vast array of specialties. All are certified in CPR. The majority of the firefighters are either NYS certified EMT’s or Paramedics. The company also specializes in Technical Rescue and Hazardous Materials response. Members are trained in advanced techniques and have specialized equipment used to repel from high angle structures and extract victims from confined spaces. Due to the growing number of Hazardous Materials Incidents, members are trained to Operations level Hazmat mitigation. The team also includes 3 Technicians and a Specialist in the Field of Hazardous Materials Identification, Operations, and Decontamination. Ice water Rescue Technician course was the latest tool added to the Company arsenal of specialties. Truck Company One is made up of a very diverse group of people with many different talents. When the alarm sounds and a neighbor needs our assistance, we work as a team and combine our talents to respond in a swift, professional and a compassionate manner.